Ernesto Valverde has named his squad for Sunday’s game against Alavés at the Camp Nou (8.45pm CET), with Andre Gomes a last-minute absentee after he missed training on Saturday due to digestive troubles. New boys Philippe Coutinho and Yerry Mina are both included again, while Denis Suárez and Gerard Deulofeu are the players the coach has decided to leave out, along with the injured duo of Ousmane Dembélé and Thomas Vermaelen. 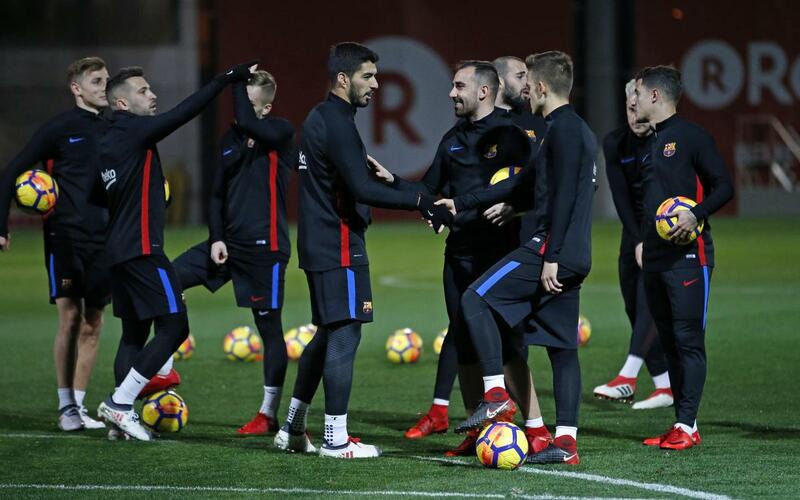 The full squad of 18 is therefore as follows: Ter Stegen, Semedo, Piqué, Rakitic, Sergio, Iniesta, Luis Suárez, Messi, Cillessen, Coutinho, Paulinho, Paco Alcácer, Jordi Alba, Digne, Sergi Roberto, Aleix Vidal, Umtiti and Yerry Mina. Click on the video above for highlights of Saturday’s training session at the Ciutat Esportiva, which also featured Barça B goalkeeper Jokin Ezkieta.